You should have received an original Certificate and the Contractor should have retained a duplicate Certificate. If you were the person ordering the work, but not the user of the installation, you should pass this Certificate or a full copy of it including the schedules, immediately to the user. The "original" Certificate should be retained in a safe place and be shown to any person inspecting or undertaking further work on the electrical installation in the future. 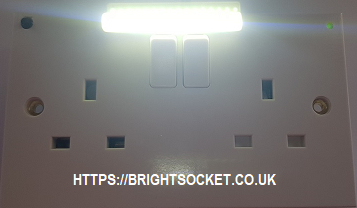 If you later vacate the property, this Certificate will demonstrate to the new owner that the electrical installation complied with the requirements of British Standard 7671 at the time the Certificate was issued. The Construction (Design and Management) Regulations require, that for a project covered by those Regulations, a copy of this Certificate, together with schedules is included in the project health and safety documentation. For safety reasons, the electrical installation will need to be inspected at appropriate intervals by a competent person. The maximum time interval recommended before the next inspection is stated on page 1 Box F, under "next Inspection". This Certificate is intended to be issued only for a new electrical installation or for new work associated with an alteration or addition to an existing installation. It should not have been issued for the inspection of an existing installation. A"Periodic Inspection Report" should be issued for such a periodic inspection.